One of the best parts about summers in Philadelphia is Center City SIPS, commonly referred to as just “Sips”. Sips is an iconic happy hour that takes over Center City from 5pm to 7pm every Wednesday in the summer. Young professionals flock to bars and restaurants participating in Sips after work to let loose with friends and enjoy beautiful weather and great drink specials — $3 beers, $4 wines, and $5 cocktails. One of the most challenging parts about Sips is trying to figure out where to go. 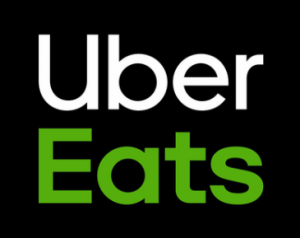 With almost 90 establishments participating this year, it can be extremely difficult to choose. What places have the best choices or the best atmosphere? Lucky for you, we at Geno’s have 50 years of experience navigating Center City Sips. We put together a guide highlighting some of our favorites Sips spots along with some general tips to help you enjoy yourself even more along the way. Get your drinking caps ready! If it’s a nice day, we recommend sticking to the outdoor bars to really get the full summer time happy hour experience. Independence Beer Garden along Independence Mall is a fan favorite spot among Sips goers, as patrons can play lawn games like corn hole or bocce while enjoying over 40 tap beers and exploring the 20,000 square feet of this beautiful outdoor bar. Marathon Grill on Market Street is another popular outdoor spot, as it draws in large crowds with the DJ that spins tracks all Wednesday night long. Chops at the Comcast Center also features a live DJ and provides an up-close view of Philadelphia’s tallest building. If you really want a view to brag about, head to SkyGarten’s “beer garden in the sky” located on the 51st floor of 3 Logan Square to experience the world’s highest beer garden! If heights aren’t your thing, you can head across the street to Uptown Beer Garden and enjoy the twinkling lights hanging on the courtyard. If you want something with a little more of a casual feel, head to Graffiti Bar at Sampan to enjoy a bar covered head to toe in in colorful, spray painted art. Of course, there are great indoor areas to check out in case of the ever-lovely summer rain shower. Devil’s Alley Bar & Grill on 19th and Chestnut is a cozy bi-level bar with a great beer selection. If you want a more intimate setting, check out Charlie Was a Sinner., where the dim lighting gives you the feel of an exclusive members-only establishment. If you want a good sports bar, we recommend Field House on Filbert Street for your classic high-energy sports bar environment. No matter where you pick to go, you can’t go wrong! And the best part is, if one place isn’t your scene, you’re just a short distance from another Sips bar! Some tips to keep in mind before you head out this Wednesday. Sips bars get packed, so make sure you and your friends order drinks together to minimize time waiting in those long bar lines. Also, the beers and cocktails on special change from bar to bar, so make sure you ask what is on special before you order! Another great tip to know if you are the designated driver, the Philadelphia Parking Authority offers FREE meter parking in most of Center City after 5PM on Wednesdays. How thoughtful of them! Most importantly, after your cocktail and beer fueled Sips experience, make sure to grab dinner at Geno’s! We know that a juicy, cheesy, delicious cheesesteak is the best way to end an afternoon of Sipping. 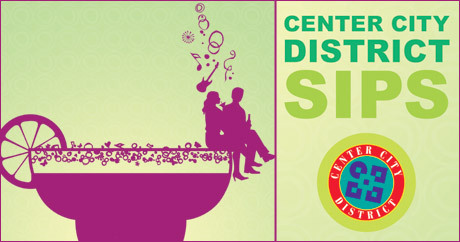 Now, make sure to add Center City Sips to your calendar every Wednesday this summer. Happy Sipping!